Supplier of closely annealed steel coil, steel hollow sections, forging steel, structural steel tubes, steel coils & stainless steel coils. Sewa Electrical Industries Pvt. Ltd. Normally this grade is stocked in Annealed condition with 180 HV Max Hardness. Strips can also be supplied in different temper in range of 200 – 350 HV on request, please check for Minimum economic batch, quantity & lead time. 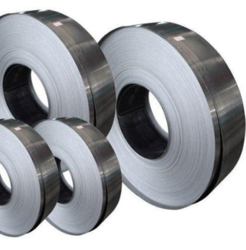 Spheroidised steel is a heat treated steel which is used to increase the formability and blankability during processing of high strength steel - typically with Carbon content (C %) of 0.45 % and above.